Pack your bags! This will be a vacation you will never forget. 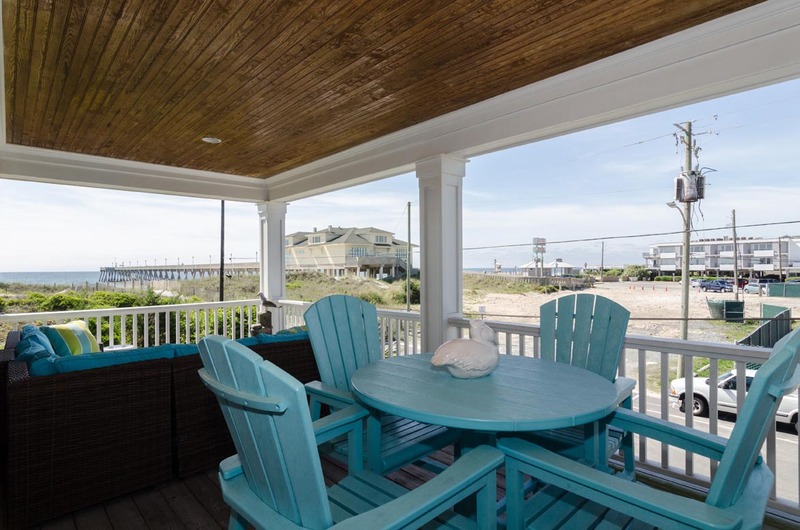 This beautifully decorated oceanfront 3 bedroom 2 bath duplex is just a few steps from the ocean and close to Johnnie Mercer’s Pier. The living-dining-kitchen combination offers the perfect spot for family gatherings. A well-equipped gourmet kitchen with granite counter tops makes preparing meals a pleasure! 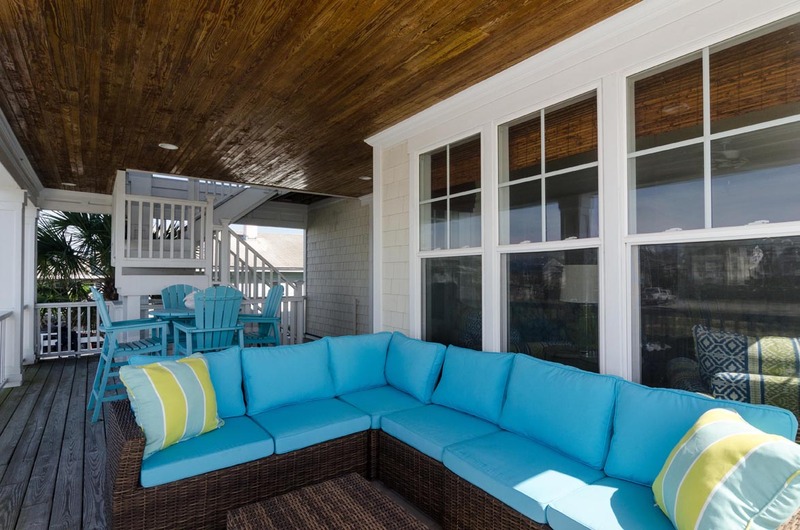 Enjoy spectacular sunrises and casual dining on the covered front porch. There is a gas grill located in the garage. You can only grill in the driveway and not on the porch.Plenty of enclosed storage space under the unit for bikes and beach gear. Enclosed outside shower. There is a shared elevator for your convenience. Unit was beautiful, clean, spacious and great location. One negative was the garage door opener did not work. I would highly recommend the owner provide instructions on how to operate the tv system/remotes in the main living area, though we figured it out. The stay was wonderful. The condo was the perfect size and layout. It was great to have views of the ocean and be so close. This was our first experience with Bryant - and they were great. 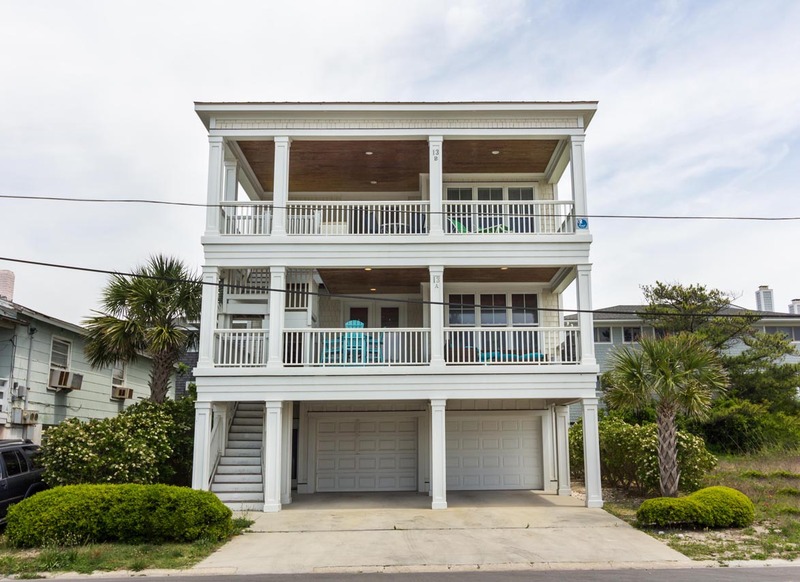 This unit is wonderful - easily the best appointed beach rental we've ever rented (and we rent every year). 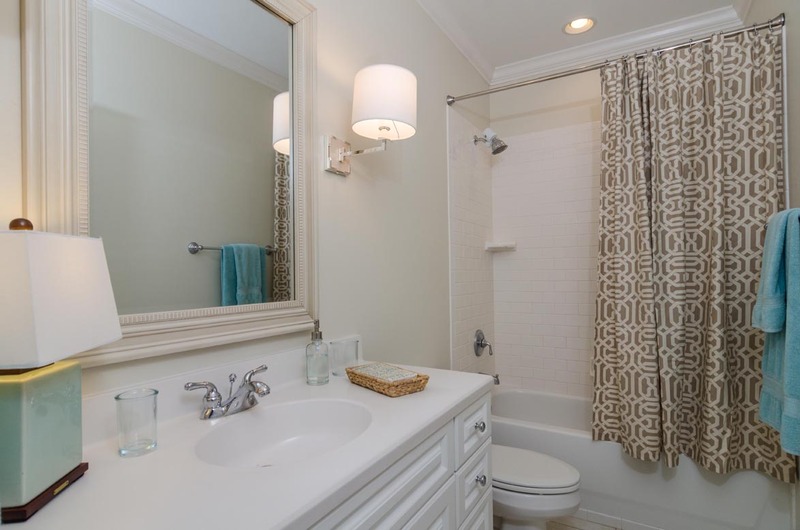 This is a beautifully decorated place, the kitchen is perfectly stocked, and the unit is spacious. The porch is its BEST part - the view is incredible. However, this is a first floor unit - and if by luck of the draw you end up with upstairs renters with heavy footsteps and children who are allowed to run at midnight and jump off furniture at 6am, this will not be a relaxing visit for you. If the pictures on the Bryant site of the upstairs unit are accurate, the upstairs unit has no carpet and only one small rug. I would highly recommend the home owner and Bryant work together to get the upstairs unit softer floor coverings. It was unbelievable the amount of noise that came from upstairs while we were renting the lower unit. We had to bring in white noise machines and download white noise apps just to be able to sleep at night. Due to this, we would not rent this lower unit again - even though on its own it is a wonderful place. D'Ann, We are delighted to hear that you had a wonderful experience with Bryant and this gorgeous property. It is unfortunate to hear that your experience was diminished by the upstairs renters; our management staff has contacted the owner of the upper unit and suggested adding carpets and area rugs to try and minimize the noise transfer between units the two units. Thank you for taking the time to tell us about your stay and we hope to see you at the beach again soon! We rented a apartment very near the beach. It was our grandsons first time seeing the ocean, beach and waves. The water was warm and in they went. The apt. was lovely, nicely furnished. They kitchen was more up to date and very well supplied. My daughter loved having the washer and dryer right there in the apt. It was clean and well laid out. and very nicely furnished. 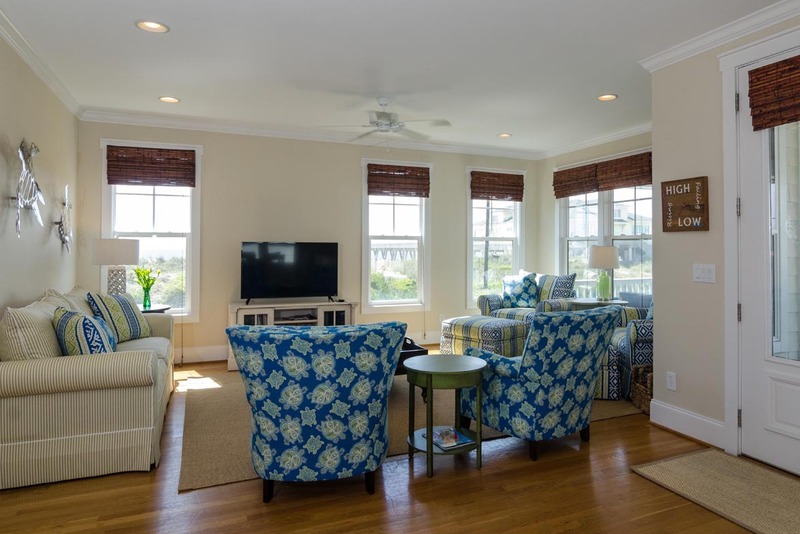 Our experience was wonderful at our rental property! We had a great time, the house was in good condition, the front porch was the perfect place to watch the sun rise and it was close to everything! The wrightesville/Wilmington area has a lot of great restaurants and things to do! We will definitely be looking to go back! Wowed! New owners with great improvements! We rented this unit for the first time this year (2018) and were so appreciative of the improvements the new owners made. The kitchen is very well stocked - our professional cook needed nothing; the beds were very comfortable and the furnishings seemed new! So nice compared to the upstairs unit, which we also rented; that needs an owner like this! !